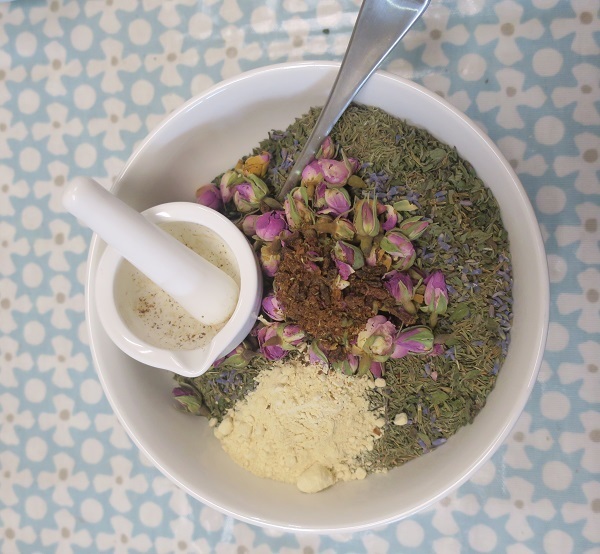 Potpourri - a mixture of flowers, herbs and spices to perfume a room. I have been dabbling in the ancient craft of Potpourri-making by using a traditional Medieval recipe. 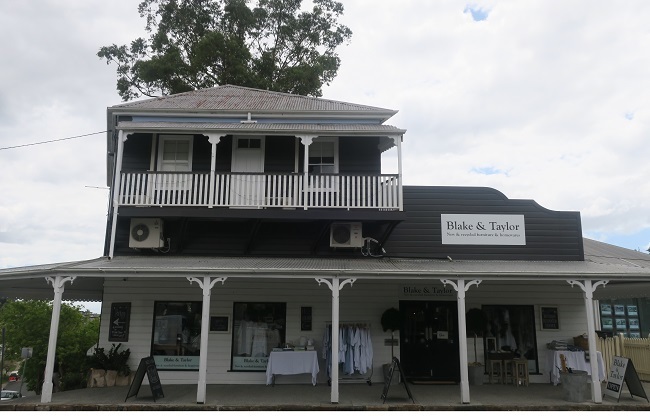 At Blake and Taylor, my favourite store in Paddington I was shown how to combine dried herbs, spices and decorative flowers to create a fragrant blend to scent my house. 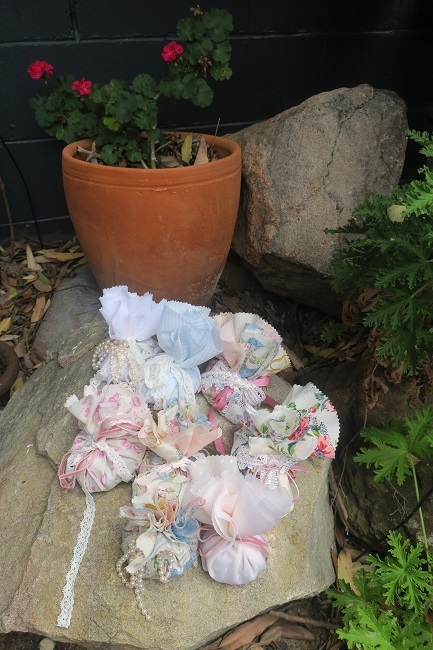 I also learnt to make a fabric sachets using the stash of vintage fabrics and decorative ribbons from owner Ellie's gorgeous treasures. 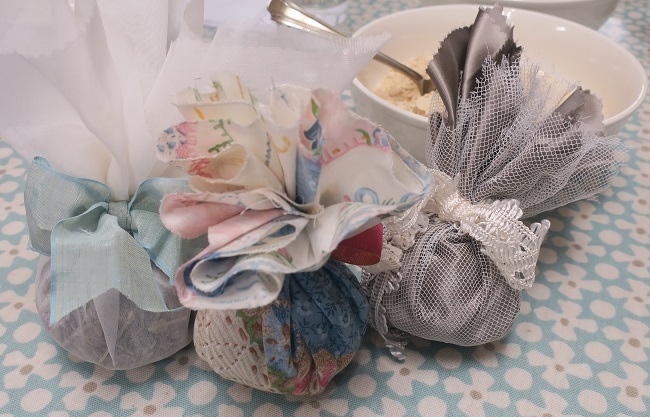 I put my newly made potpourri into these sweet little pouches to take home. I am using my potpourri to scent my clothes and linen cupboard. They would also make a beautiful and unique Christmas pressie. I have attended other Blake and Taylor Workshops including painting with B&T's Chalk Paint, Shibori Tying and Indigo Dying. All classes were good fun and good value as you get to take home your creations. B&T deliberately keep the classes small so that there is lots of individual attention. Liz, the lovely tutor, was very knowledgeable and shared with us the history of potpourri and its uses. and many more beautiful additives. I can't reveal the exact ingredients or quantities here - you will have to go to a class to find out. The making of the little pouches or pochettes, involved no sewing. 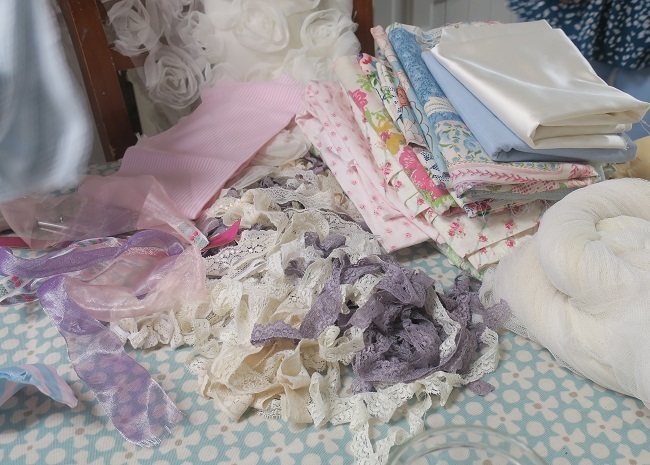 We cut our own templates - square or round - and chose from the piles of fabulous fabrics including chintz, lace, net and Kath Kidson florals (my favourites). We then layered the materials and added embellishments from the cornucopia of ribbons, braids, pearls and flowers. 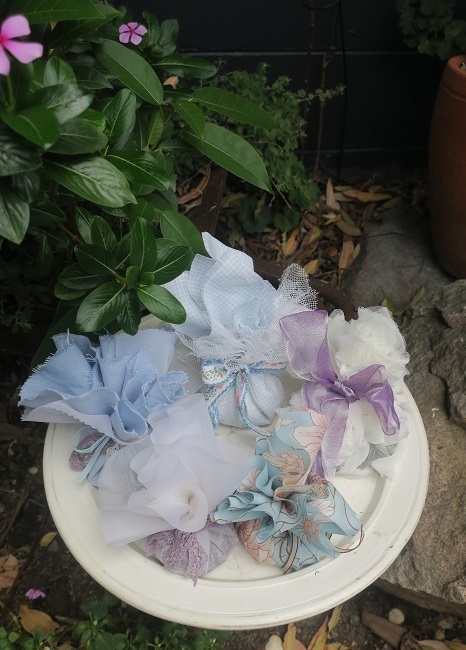 I was amazed at the variety and creativity of the resulting potpourri sachets. Selecting which materials to use wasn't the only hard choice. 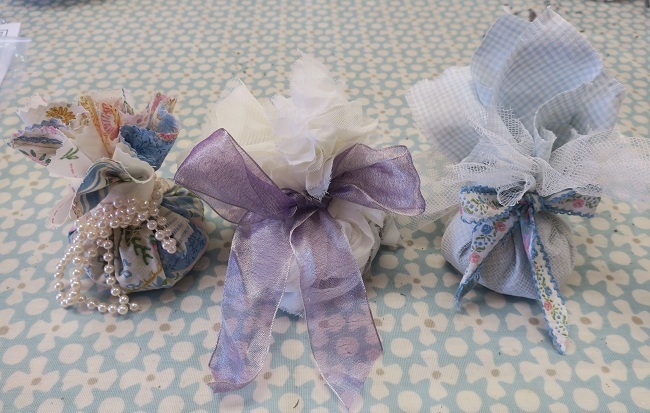 One also needs to decide whether to keep them or pass on as pretty presents. The word "potpourri" (the 't' is silent) is the French name for a Spanish stew with a wide variety of ingredients. Dried scented plant material has been used in rooms since ancient times when they were strewn on the floors to create layer which were crushed, and released the essential oils when walked on. Many of these dried herbs acted as insect repellents, too. The remains of flowers, bouquets, garlands and herbs were found in ancient Egyptian tombs. Lavender, thyme and chamomile were all used during the mummification process when preparing bodies for the afterlife, making mummies smell better. During the Middle Ages in Europe, cloth bags were filled with fragrant dried flowers and herbs and placed in closets and drawers to perfume clothes, bedding and linens, as laundering clothing was so infrequent. Bathing wasn't done regularly either so women tucked sachets into the underclothes they were wearing. In early 17th Century France, seasonal fresh herbs and flowers were gathered. Bunches of herbs were hung-up in the home for a few days, then layered with coarse sea salt. The ageing mixture was stirred occasionally as layers were added to it. A scent preserving fixative such as orris root was added. The finished potpourri was set out in special pots with perforated lids to perfume rooms, whether in a cottage or a castle. Modern potpourri consists of any decoratively shaped dried plant material with natural and synthetic perfumes and added dyes. Dried flowers can last anywhere from two months to 20 years, depending on the chosen blend. Properly made potpourri will last longer when stored in a closed container. 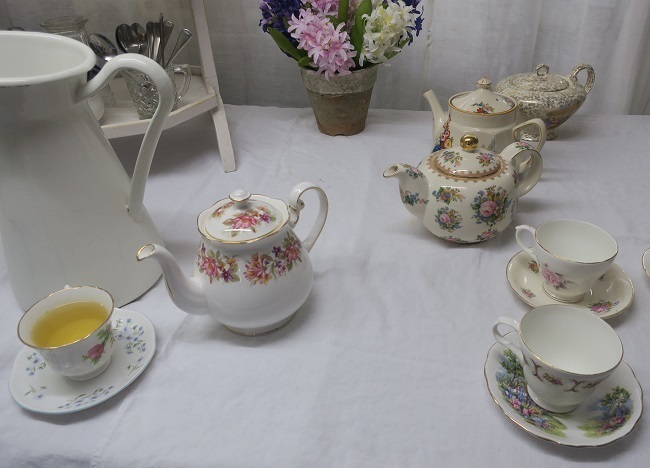 Your choice of complimentary teas or barista coffee is served in lovely fine china during the workshops. It is all these little touches and attention to detail that made my experience so memorable. 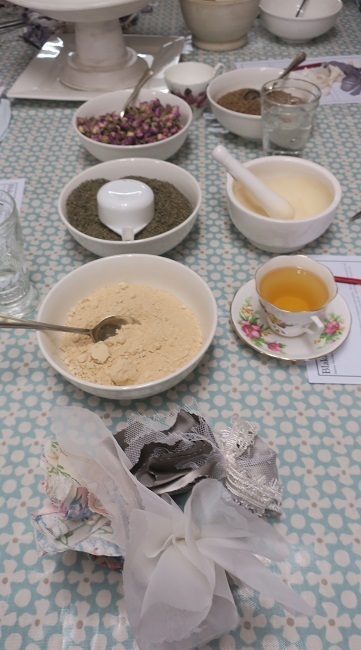 Book here for the Potpourri Workshop. New workshop dates are constantly added depending on demand -see the current schedule here. You can thank me later. Why? To learn to make pretty things for your home. Cost: $40 for Potpourri Workshop; Various prices for other workshops. I hope you enjoy it as much as I did. let me know which one(s) you go to. What a quaint place that I wouldn't have known about if you hadn't written it May, I will definitely see what classes I would like to attend. Making Potpourri is definitely one of them.